Maybe irony isn’t the word, but it’s certainly intriguing that while Phil Spector was creating the raw, spartan sound that would make John Lennon’s Plastic Ono Band so remarkable, he was also hard at work on an album, for a fellow Beatle in fact, that would go against that ideal so strongly – an album which might be considered the archetype of Spector’s “Wall of Sound” concept. Which is not to say that Spector’s bold production should be the main thing to take away from this 3-disc colossus of an album – far from it. But it’s certainly interesting to note that it was released just six months after Let it Be, and a mere fourteen days before Lennon’s iconic “debut”. Of course, as fate would have it, it was this album that would emerge triumphant against the rest of the post-fab-four solo projects, becoming the top-selling album of 1971. And there’s certainly a lot to take in, from the joyful opener “I’d have you anytime” and the anthemic “What is Life”, which feels like a clarion call for 70’s rock, mixing orchestral backgrounds with the bass tones from the Spencer Davis Group’s “Keep on Running”. Being the huge beast that it is, “All Things Must Pass” is hard to get the real feel of until a few listens in. 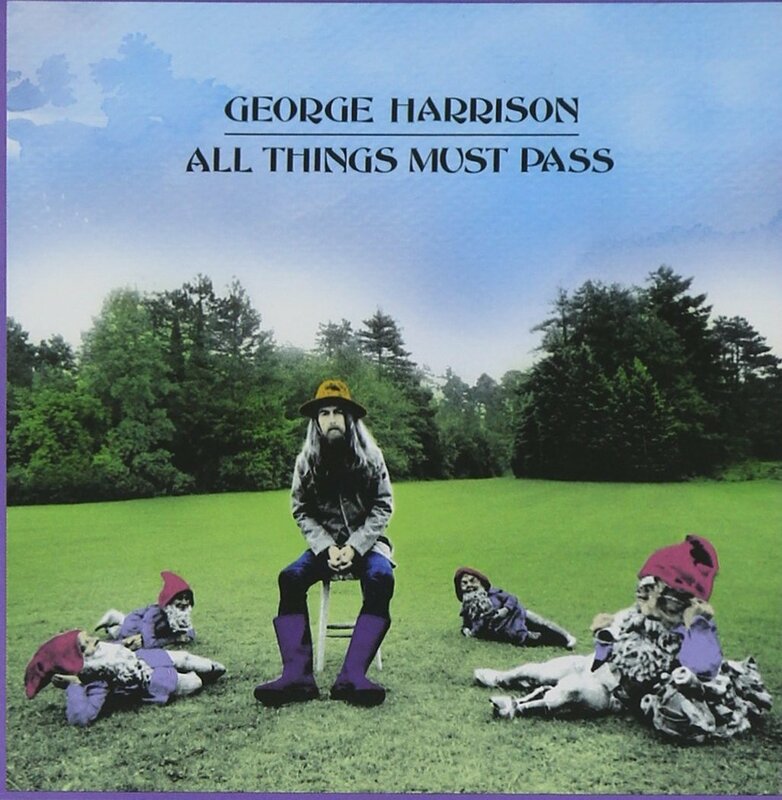 With the exception of the euphoric “My Sweet Lord” and the wonderful title track, not much on here quite reaches the magic of “While my Guitar Gently Weeps”, but what comes through is a brimming sense of confidence – as if George was finally enjoying his emancipation after a decade in the shadows of Lennon and McCartney.